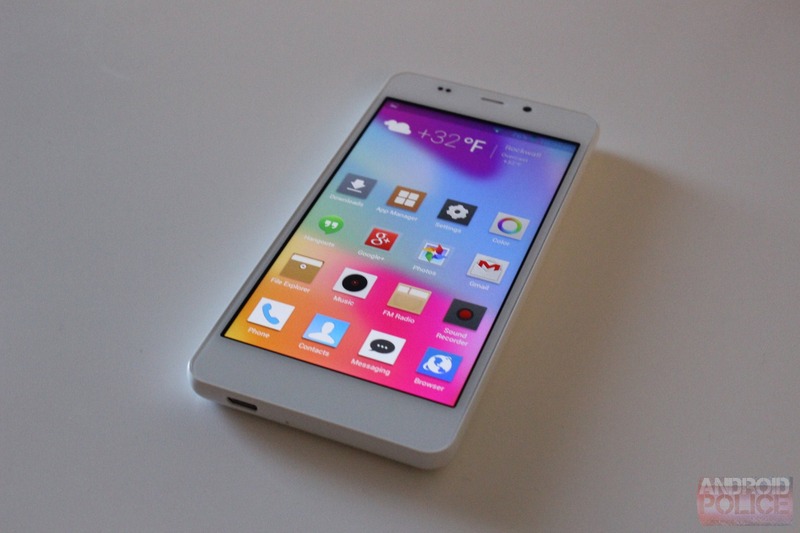 Back in December, Blu released its first 1080p phone, the Life Pure. 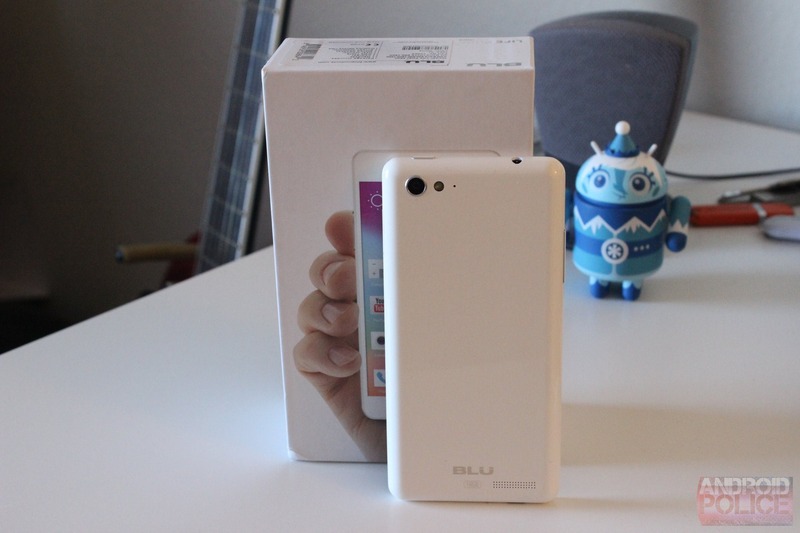 It's a drastically different device than other Blu phones, in that the launcher and primary interface are very iOS-like. While most Android users probably scoff at that, it's actually a pretty good option for anyone looking to make the leap from iPhone to Android, as it eases the transition. With that said, the five-inch display may be one thing holding some users back from making the jump to the Life Pure, and with that, Blu released the Pure's little brother, the Life Pure Mini. The screen size isn't the only difference, however – like Samsung's "mini" devices, it took a hit in the spec department compared to its larger sibling. After looking at the specs, it's pretty clear that this is another mid-ranger from Blu. But it doesn't feel like the others, which applies to both software and hardware. Right out of the box, there's one comparison that's hard to deny: the Pure Mini looks quite a bit like an iPhone 5c. I wouldn't necessarily say that's a bad thing, as I personally find the 5c to be a nice little device from an aesthetic perspective. 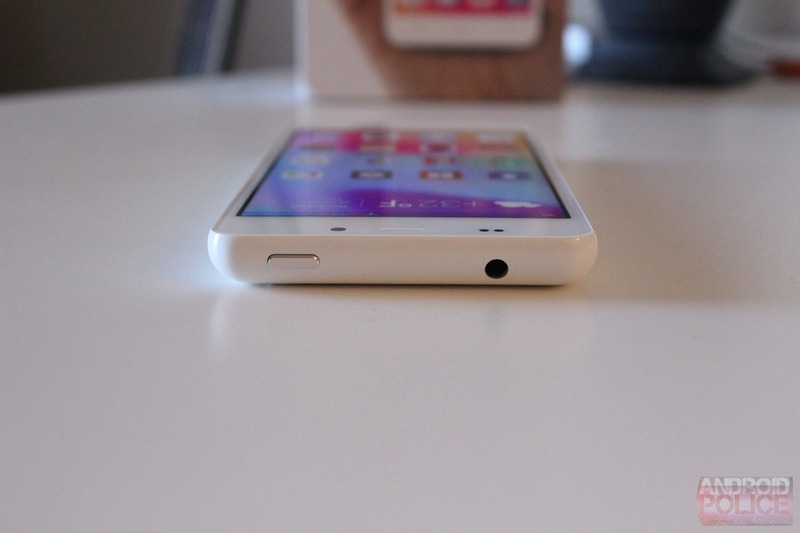 Like the 5c, the Pure Mini features a one-piece wrap-around polycarbonate body, which is very sleek. I actually wish more devices would go for this sort of design. The layout of the phone is nothing out of the ordinary: the power button and headphone jack are on top, the microSIM card slot is on the right, microUSB port on the bottom, and volume rocker on the left side. The power button and volume rocker both share the Life View's machined aluminum styling, which exposes a bit of the silver aluminum on the outside edges. That's a nice touch. 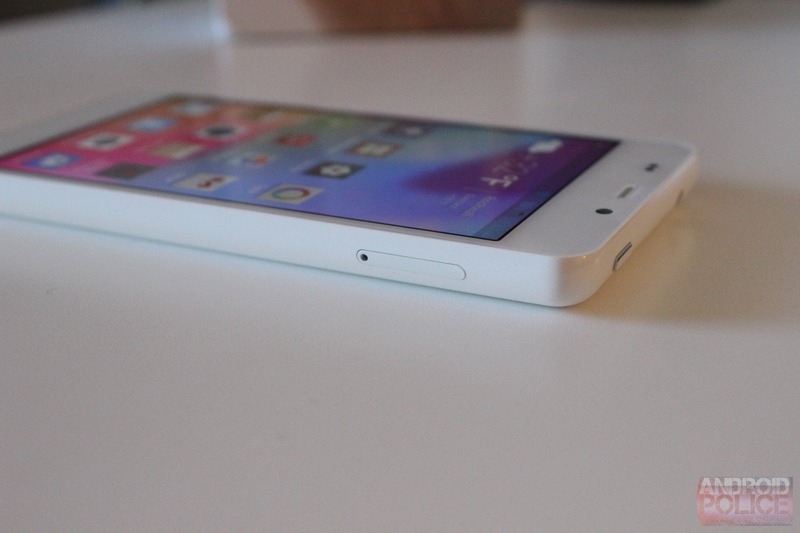 One thing worth noting about this device is that it's quite rigid and feels incredibly solid. Thanks to the 3,000mAh battery, it actually packs a bit more weight than other devices this size, yet still manages to stay at a sleek 8.9mm thin. All the seams are very tight and flush, which gives the phone a feeling of being more expensive than it is. I would easily and readily call the build "premium." In a world where nearly every device I look at is five inch or greater, I had forgotten how nice 4.5 feels. 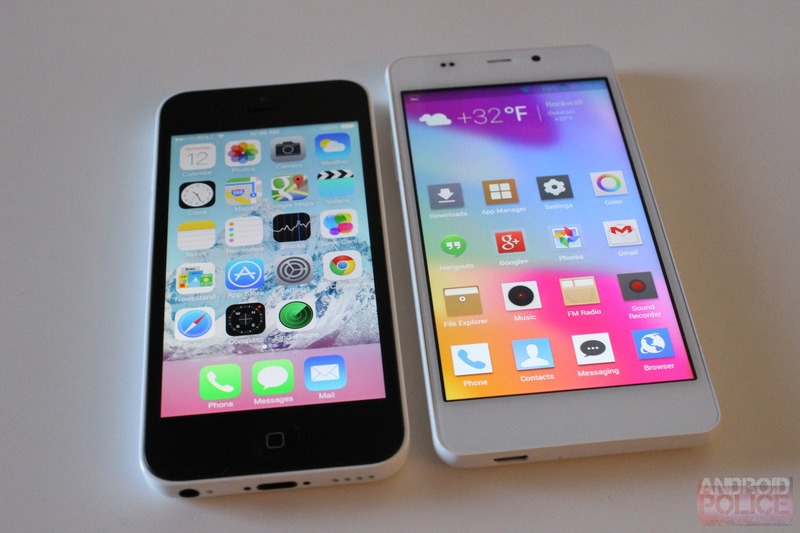 I realize that's very subjective, but the size just feels excellent for one-handed use. That feeling isn't exclusive to the LPM, of course, but it's definitely worth mentioning. The 4.5" form factor was definitely refreshing for me personally. The rest of the experience is pretty typical of Blu at this point. The display looks really good – colors are vibrant, text is sharp, and the like. Despite "only" being 720p, text looks very nice, and images are crisp. I've actually been criticized for speaking highly of Blu's displays, as many users have a hard time believing that a budget device can have a display that competes with the major players. I don't know exactly what sort of voodoo magic Blu uses on its handsets, but the display is something that has to be seen to believe considering the devices' price points. The Life Pure Mini is no different. On the performance level, the LPM packs enough of a punch to get the job done for everyone outside of the most extreme power user. The quad-core MediaTek chip isn't the fastest (or the most loved due to GPL violations), but it handles day-to-day tasks readily enough on this device, which is nice for those who buy it without realizing all that goes on (or doesn't go on) behind the scenes from MediaTek. That's really a different story for a different day, though, and I don't want to turn this into a something about MediaTek and its wrong-doings in the Android community. Like I've said of other devices, it's hard to tell this device only has a single gig of RAM, unless you're doing a lot of multi-tasking. At that point, it is noticeable. Again, however, I don't see this as a device for power users, but rather something for the "average Joe" or what have you. The software experience is basically identical to that of the larger Life Pure, though for some reason Blu decided to stick with the blue battery and clock instead of changing it to white like on the Pure. In a nutshell, it's very iOS/MIUI-like, in that all the apps are just thrown onto the homescreen (there is no app tray), leaving no room for widgets. There's a persistent weather widget at the top of the homescreens, but it's neither replaceable nor removable. 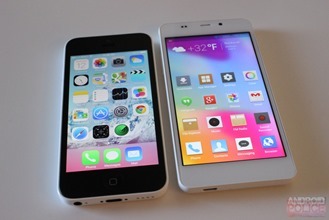 Next to an iPhone 5c, for comparison. There's, of course, the option to install another launcher, like Nova. That works as expected for the most part, save for one detail: the wallpaper remains blurry. Because all icons are just tossed onto the homescreen in the stock launcher, the wallpaper is blurred to make everything in the foreground easier to see. This doesn't change with other launchers, which is odd and slightly annoying. Live wallpapers don't have the same issue, so using one of those is a must if you can't handle the out-of-focus backdrop. 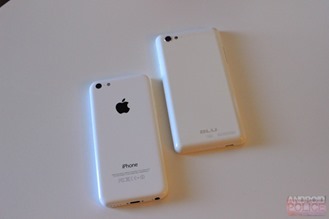 Overall, the Life Pure Mini comes in as a good choice for those converting from iOS, are new to the smartphone world, or need to replace their existing phone on the cheap. The 4.5" display looks very crisp and sharp, and the size keeps the overall footprint of the phone quite comfortable for one-handed use. 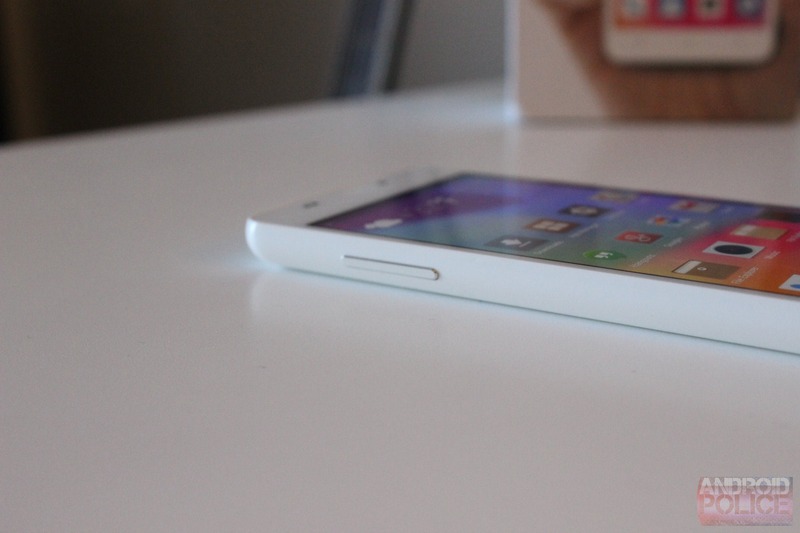 The build quality is solid, with the massive 3,000mAh battery giving the unit some heft. 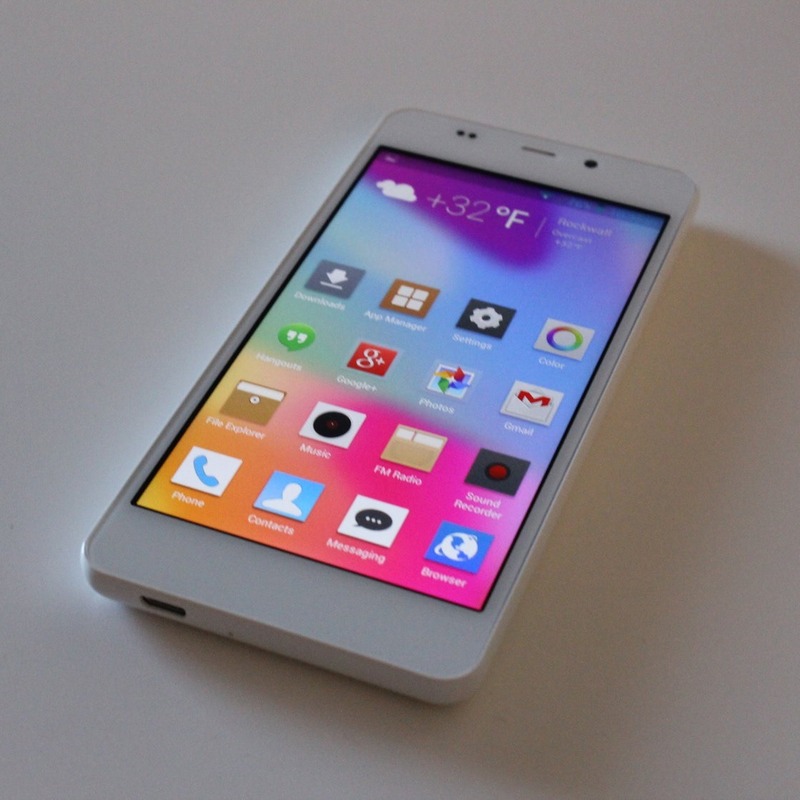 If you can get past the overly-simplistic interface (or don't mind using a custom launcher), the Life Pure Mini is a solid choice in the $250 price range.